In Part 3 of this Cryptocurrency Trading Guide, you will find a 6 key principles to help you to trade cryptocurrencies effectively. The cryptocurrency market is still really new and many beginners and institutional investors do not yet have a robust trading strategy for cryptocurrencies. Furthermore, the cryptocurrency and Blockchain technology is always developing at a break-neck speed. New technological applications and use cases for cryptocurrencies spawn and die-off daily. Adding to these complexities, regulatory bodies and institutional investors are still trying to figure out how they can regulate and operationalize this new technology. How can one effectively navigate such a complex economy? 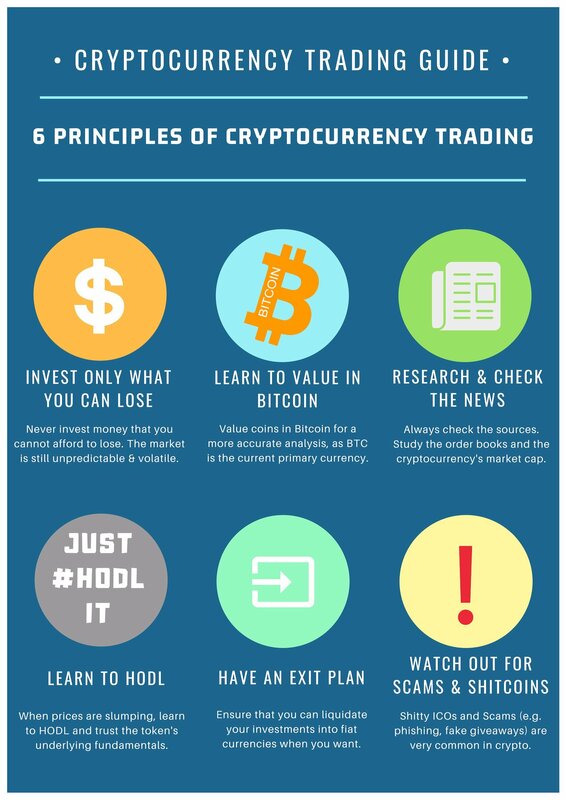 Here are 6 key principles that will help you trade Bitcoin and other cryptocurrencies effectively, without making any rookie mistakes. We believe that, whether you are a beginner or a professional cryptocurrency trader, these guiding principles will help you trade and invest effectively. You can securely buy, sell and trade cryptocurrencies like Bitcoin, Litecoin, Ethereum, Ethereum Classic, Monero, Zcash on Coinut Exchange. Traders can easily deposit & withdraw fiat currencies like Singapore dollars, US dollars, Canadian dollars and Malaysia Ringgit for trading purposes. What are you waiting for? Take advantage of cryptocurrencies' low prices and start trading on Coinut Exchange now. How to build Coinut.com's orderbook in realtime? In this article, we demonstrate how to obtain orderbooks of our cryptocurrency trading pairs through APIs and maintain them efficiently.